FAPESP and NSF make public this joint Call for Proposals and invite interested researchers to submit projects for Scientific Cooperation through their programs, BIOTA (www.fapesp.br/en/4662) and Dimensions of Biodiversity (www.nsf.gov/pubs/2015/nsf15533/nsf15533.htm), respectively, under the terms and conditions hereinafter set forth. This Call for Proposal is based in a broader Call for proposals published annually by the NSF Dimensions of Biodiversity´s Program, which invites the participation of U.S. researchers to apply for NSF´s regular funding or co-funding opportunities under NSF agreements with FAPESP, Chinese National Natural Science Foundation and NASA (for details see the NSF Dimensions Program' Solicitation at www.nsf.gov/funding/pgm_summ.jsp?pims_id=503446. By 2020, the Dimensions of Biodiversity program is expected to have transformed our understanding of the scope and role of life on Earth. Investigators are encouraged to propose projects that transcend traditional boundaries among areas of biodiversity research. The Dimensions program focuses on genetic, phylogenetic, and functional dimensions of biodiversity. Successful proposals will test hypotheses about biodiversity that integrate these three dimensions and investigate the dynamic interactions and feedbacks among them. While this focus complements several core programs in BIO and GEO, it differs by requiring that multiple dimensions of biodiversity be addressed and integrated in innovative ways to understand the roles of biodiversity in critical ecological and evolutionary processes. Examples are provided in the following section. Projects funded in the first four years of the program are listed at www.nsf.gov/pubs/2014/nsf14057/nsf14057.pdf. The aims of the BIOTA-FAPESP Research Program, launched in March 1999 includes: i) to inventory, map and characterize the biodiversity of the State of São Paulo; ii) to understand the processes that generate and maintain biodiversity, as well as those that can result in its deleterious reduction; iii) to improve public policies on biodiversity conservation and restoration, and iv) to develop means and strategies for the sustainable use of plants, animals and microorganism with economic potential. The scientific plan of the BIOTA/FAPESP Program for the next 10 years (www.fapesp.br/biota/10scienceplan.pdf) includes: (i) native biodiversity restoration, (ii) development and implementation of a new information system for the Program (SinBiota 2.0), (iii) biodiversity inventories (including DNA bar-coding and metagenomics), (iv) phylogeny and phylogeography, (v) ecosystem functioning and landscape ecology, (vi) marine biodiversity, (vii) applied ecology and human dimensions of biological conservation, (viii) invasive species and GMOs, (ix) modeling, (x) bioprospecting, and (xi) education and public outreach. The Dimensions of Biodiversity program currently targets three fundamental dimensions of biodiversity - genetic diversity, phylogenetic diversity, and functional diversity. Integration among these three dimensions is an essential aspect of all proposals. Genetic diversity includes nucleotide sequence diversity at neutral or coding loci as well as genomic (proteomic, transcriptomic) diversity. Phylogenetic diversity refers to reconstructing evolutionary relationships among lineages at and above the level of the population and how these relationships compare to current taxonomic understanding. Functional diversity includes aspects of organismal, population, community and ecosystem traits and functions, and the role of key innovations in the generation and maintenance of biodiversity (see examples below). Investigators are encouraged to study the dynamic relationships among these three dimensions and their associated feedbacks. How does functional biodiversity relate to the phylogenetic or taxonomic dimension in a particular study system? How does population genetic diversity influence the functional role of a species or group of species in their habitat? Because these relationships are not static, proposals should seek to understand how these relationships adjust and evolve over time. In addition, a primary goal of the program is to describe the largest unknown mechanisms driving the origin, maintenance, and functional roles of biodiversity; proposals that have the potential to fill large gaps in our understanding of biodiversity are particularly encouraged. Examples of topics that might be addressed by Dimensions proposals include, but are not limited to, the integrated roles of the three dimensions of biodiversity in: food web and community stability or ecosystem resilience, sustainability or productivity, particularly with respect to environmental thresholds and alternate stable states; feedbacks between biotic and abiotic change; maintenance of symbioses; genetic/phylogenetic diversification enabled by natural selection on novel traits; ecological response to anthropogenic disturbances including climate change; carbon, nitrogen, and other biogeochemical cycles; and rates of evolution. The Geosciences Directorate is particularly interested in projects that consider how marine biodiversity interacts with ecosystem function relative to climate change. The purpose of this fourth Call is to define the conditions for the submission of proposals for Scientific Cooperation between scientists in São Paulo, Brazil, and in the United States within the scope of the Scientific Cooperation Agreement between FAPESP and NSF signed on 19/12/2011 and published at www.fapesp.br/en/6764. The funded projects selected in the previous Calls (2012, 2013 and 2014) under the FAPESP and NSF agreement, are listed at www.fapesp.br/en/6517. 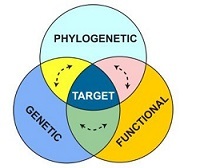 Research projects must integrate all three dimensions of biodiversity (Figure 1) with the goal of understanding the complex interactions and dynamic feedbacks among these dimensions. Innovative approaches that accelerate the characterization and understanding of these three dimensions of biodiversity are encouraged, as are empirical, experimental, theoretical, and modeling approaches. Projects may incorporate the context provided by one or more drivers of biodiversity loss (e.g. climate change; over-exploitation of natural resources; planetary re-engineering such as land use change, water diversions, coastal development, fertilizer use; and the intentional or unintentional movement of species), but this is not a requirement of the solicitation. Projects that also develop original computational methods or technology that will be useful to a wide community of researchers (e.g., informatics, instrumentation, imaging, analysis) and other tools specific to integrative biodiversity studies are also welcome. 4) phylogenetic and/or phylogeographic studies that do not also address the genetic and functional aspects of the focal group(s). Research on biodiversity science that is focused exclusively on systematics, evolution, ecology, or ecosystem science is supported by NSF and FAPESP, however proposals addressing those individual areas may not be directly applicable to the Dimensions of Biodiversity Program. Proposals that do not integrate the three dimensions as described herein will not be considered by the Dimensions of Biodiversity program and should be submitted to to BIOTA-FAPESP relevant NSF programs instead. For FY2015 NSF will continue the partnership with the São Paulo State Research Foundation (FAPESP) of Brazil to facilitate coordinated funding of up to two US-São Paulo Collaborative Research projects. These projects can focus on any topic that falls within the scope of this Dimensions of Biodiversity solicitation and the corresponding FAPESP- BIOTA call for proposals published at www.fapesp.br/biota/dimensions-NSF2015. These projects must have a 5-year duration and should take advantage of the unique and innovative opportunities offered by an international collaboration. 5.1 To FAPESP, by researchers associated with public or private Higher Education or Research Institutions in the State of São Paulo. Researchers should meet the FAPESP eligibility requirements for either Thematic Projects (www.fapesp.br/176) or for Young Investigator Awards (www.fapesp.br/en/4479). São Paulo state researchers must send a pre-proposal as described in the FAPESP call published at www.fapesp.br/biota/dimensions-NSF2015 (item 9.1), before 26 February 2015 (at least 6 weeks prior to the full proposal deadline) to receive pre-approval by FAPESP regarding eligibility as a PI for a FAPESP Thematic Project or Young Investigator Award. Please note that for Dimensions of Biodiversity competition only, FAPESP will consider Young Investigator Award proposals with a duration of 5 years. 5.2 To NSF, by researchers associated with eligible institutions as defined in the NSF Grant Proposal Guide (www.nsf.gov/publications/pub_summ.jsp?ods_key=gpg). 5.3 An individual may appear as Principal Investigator (PI), co-PI, or other senior personnel on only one proposal per annual cycle submitted in response to this solicitation. This limitation includes proposals submitted by a lead organization, any sub-award submitted as part of a proposal, or any collaborative proposal submitted as separate submissions from multiple organizations, and this includes all types of projects. If an individual is listed as PI, co-PI, or senior personnel on more than one proposal to this solicitation, all proposals in excess of the limit for any person will be returned without review in the reverse order received. Proposers may request up to three MSc Fellowships, as a quota (“Bolsas como Item Orçamentário”). Up to two MSc Fellowships, as a quota (“Bolsas como Item Orçamentário”). Up to one Post-Doctoral Fellowship, as a quota (“Bolsas como Item Orçamentário”). 5.5 Applications with a non-eligible American partner will not be considered for funding by FAPESP. In the same way, applications with a non-eligible São Paulo partner will not be considered for funding by NSF. The duration of the research project must be 5 years with possibility of extension for up to 12 additional months, in exceptional condition, as justified and approved by the corresponding agency. 8.1 Estimated program budget, number of awards and average award size/duration are subject to the availability of funds. 8.2 Up to two 5-year US-São Paulo Collaborative Research Project awards will be funded by NSF to the US components and by FAPESP (São Paulo Research Foundation) to the São Paulo components. NSF will fund its US researchers at a level up to $2,000,000. 8.3 FAPESP will fund Thematic Project investigators at a level up to $2,000,000 (this total value includes both the overhead for researcher direct use and the overhead for institutional infrastructure) and Young Investigator Award researchers at a level up to $1,500,000 (this total value includes both the overhead for researcher direct use and the overhead for institutional infrastructure). Please note that for Dimensions of Biodiversity competition only, FAPESP will consider Young Investigator Award proposals with a duration of 5 years. 8.4 The proposal budget submitted to NSF should include only the costs of US participants; the anticipated budget for São Paulo state participants should be submitted as a supplementary document. 8.5 The proposal budget submitted to FAPESP should include only the costs of São Paulo participants; the anticipated budget for US participants should be submitted as a supplementary document in the proposal submitted to FAPESP. 8.6 Proposal budgets submitted to NSF and FAPESP do not have to request equal funding from each agency; each proposal should have a budget that reflects the participation of scientists from each region. The only requirement is that the funding rules of each agency must be followed. iii) the name of the US collaborative PI and institution. ii) as digital copy to the E-mail address chamada_NSF-Dimensions@fapesp.br. Please identify the message with the subject: “BIOTA-FAPESP/DIMENSIONS-NSF 2015”. Proposals submitted by any other means will not be accepted. 9.2 Full proposals: For the selected State of Sao Paulo pre-proposals by FAPESP, the corresponding full proposals should be also prepared in English. The full proposal must be submitted to both agencies by 09th April 2015. Other specified in this Call, the proposals should be prepared, formatted and submitted in accordance with the general guidelines of FAPESP and NSF. Each proposer must prepare its proposal using the cover sheet and application form of the corresponding agency. ii.3) Integration. The project summary must explicitly summarize how the project integrates the three dimensions of biodiversity as defined in this solicitation. In addition, if the proposal includes the use of satellite remote sensing, this fact should be noted in the project summary. Proposals that do not address all three aspects in the project summary will be returned without review. iii.4) identification of the substantial gap(s) in biodiversity knowledge that will be filled by the proposed research. iv) A summarized description of results from prior FAPESP (for SP proposers) and NSF (for US proposers) support: If any PI or co-PI on the project has received FAPESP or NSF funding, respectively, in the past five years, information on prior award(s) is required. Each PI and co-PI who has received more than one prior award (excluding amendments) must report on the award most closely related to the proposal. Reviewers will be asked to comment on the quality of the prior work described in this section of the proposal. Please note that the results may be summarized in fewer than five pages, which would leave the balance of the 15 pages for the Project Description. i) The proposal must be submitted as a Thematic Research Project (www.fapesp.br/176) or a Young Investigator Awards (www.fapesp.br/en/4479). ii) A PDF copy of the documents of the US collaborator (Application form, CV, budgetary sheets, letters etc) should be included in the SP proposal as Supplementary Documents (see details in section 9.6). 6) BIOTA Membership: The SP proposer must fulfill and sign the BIOTA´s Membership Form (“Formulário de Adesão”), agreeing to comply with the programs rules (www.fapesp.br/5223). ii) The documents of SP collaborators (Application form, CV, budgetary sheets, letters etc) should be included in the US proposal as Supplementary Documents (see details in section 9.5). As specified in this section, the following documents should be provided by the SP PI and his/her U.S. Collaborator, to both proposals (to FAPESP and NSF), as Supplementary Documentation. ii.2) Similarly, a PDF version of the SP Senior Personnel Biographical Sketches, following the format required by FAPESP, should be included as a supplementary document in the proposal submitted to NSF. iv) Data Management Plan: Each proposal must include, as a supplementary document, a data management section with the specific details of data standards, accessibility, electronic dissemination, and preservation. Of particular logistical importance (if applicable) are: plans for data collection and analysis; details of collaborative efforts; information about import, export and collecting permits; plans for the distribution and long term storage of voucher specimens; plans for digitization of all specimens following international standards such as Darwin Core; agreements with existing collections for archiving and maintaining voucher specimens and (shared with iDigBio) digitized images of those specimens; and information about access to resources that are not immediately under the investigator's control (e.g., museum collections, research sites, computing facilities). The data management plan must not exceed two pages. Proposals that do not comply with this requirement will be returned without review. v) Student Training Plan: Training should promote intellectual and methodological cross-fertilization and encourage a systems/integrative perspective towards understanding biodiversity. An integrated training plan for undergraduate and/or graduate students is a newly required element of Dimensions of Biodiversity proposals. The goal of the Training Plan is to prepare students to develop broad hypotheses and to become well versed with all aspects of inter-disciplinary biological research. This may be accomplished, for example, through lab rotations among PI institutions, cross-training plans, and/or integrative training workshops. NSF believes that student research experiences have their greatest impact in situations that lead the participants from a relatively dependent status to as independent status as their competence warrants. A training plan must be included that explains the approach, depth and breadth of instruction. The training plan must not exceed two pages. Proposers should describe specifically how the proposed training plan will enhance the future workforce for the field of biodiversity science and how trainees will be better able to engage in emerging research areas employing newly developing methods and tools. Only one Student Training Plan should be submitted for each project, even if it is a collaborative project. Proposals that do not comply with this requirement will be returned without review. vi) Postdoctoral Mentoring Plan: Each proposal that requests funding to support postdoctoral researchers must include, as a supplementary document, a description of the mentoring activities that will be provided for such individuals. The mentoring plan must not exceed one page. Only one Postdoctoral Mentoring Plan should be submitted for each project, even if it is a collaborative project. Proposals that do not comply with this requirement will be returned without review. This section may include letters of collaboration from individuals or organizations that will play an integral role in the proposed project (e.g., individuals or organizations who will provide materials, data, or analytical capabilities). Letters of collaboration should focus solely on affirming that the individual or organization is willing to collaborate on the project as specified in the project description of the proposal. No additional text, especially elaboration of the nature of activities to be undertaken by the collaborator and endorsements of the potential value or significance of the project for the collaborator, may be included. The template that must be used for the preparation of letters of collaboration is provided below. Letters of collaboration should not be provided for any individual designated as a principal investigator or senior personnel, nor are letters of collaboration required for any organization that will be a subawardee in the proposal budget. Each letter of collaboration must be signed by the designated collaborator. Requests to collaborators for letters of collaboration should be made by the PI well in advance of the proposal submission deadline, because they must be included at the time of the proposal submission. Letters deviating from this template will not be accepted and may be grounds for returning the proposal without review. Letters of collaboration from U.S. scientists are required. These letters must be restricted to a statement of intent to collaborate only. Additional information on the nature of the collaboration and the roles of the investigators should be included in the Project Description. Similarly, letters of collaboration from Sao Paulo scientists must be included, as a supplementary document, in the proposal submitted to NSF by the U.S. PI. By signing below (or transmitting electronically), I acknowledge that I am listed as a collaborator on this proposal, entitled "__ (proposal title) __," with _ (PI name) _ as the Principal Investigator. I agree to undertake the tasks assigned to me or my organization, as described in the project description of the proposal, and I commit to provide or make available the resources specified therein. For the proposal submitted to FAPESP, an institutional certification of the submission should be included as a Supplemental Document. This certification must be a signed letter from an authorized Sao Paulo state institutional representative, and should consist of the following text: "I confirm on behalf of [insert name of institution] that the US-Sao Paulo Collaborative proposal between [insert name of SP PI and institution] and [insert name of U.S. PI] is endorsed and has been submitted by [name of Research Office]." Similarly, an institutional certification of the submission must be included as a Supplemental Document in the proposal submitted to NSF. This certification must be a signed letter from an authorized U.S. institutional representative, and should consist of the following text: "I confirm on behalf of [insert name of institution] that the US-Sao Paulo Collaborative proposal between [insert name of US PI and institution] and [insert name of Sao Paulo PI] is endorsed and has been submitted by [name of Research Office]." Names and contact information for 4-8 individuals who have expertise appropriate to review the proposal should be provided as a single document in both proposals (SP and US). Names of people with whom the proposer have conflicts must not be included as suggested reviewers. For the PI, all Co-PIs, and all Senior Personnel, including the US collaborators and SP collaborators, all persons or institutions with which there is a conflict of interest must be listed, using an alphabetized spreadsheet with the following column headers: full name (last name first), institutional affiliation, and type of conflict (e.g., advisor, advisee, co-author in last 48 months, collaborator, institutional). The names of people with the proposer do not have conflicts, must not be included as this may unnecessarily limit qualified reviewers. In addition, all sub-awardees who would receive funds through the Dimensions award should be listed. A single list containing the conflicts of interest should be prepared by the SP and US proposers, being included in both proposals (to FAPESP and to NSF). 10.1 The proponents must submit their proposals before the closing date set in the item 6 of this Call. No proposal will be accepted after the closing date for submission, nor will any addendum or explanation be accepted, unless those explicitly and formally requested by FAPESP or the NSF. Rua Pio XI, 1500, Alto da Lapa, CEP 05468-901 – São Paulo/SP. All proposals submitted to FAPESP should be clearly marked “BIOTA-FAPESP/DIMENSIONS-NSF” to distinguish them from other program submissions. Proposals submitted by any other means will not be accepted. All the documents listed in the FAPESP Research Proposal Form are required as components of the proposal, being essential for the merits analysis by NSF and FAPESP. It is recommended that, before submission, the SP PI verify if all documents are included in the proposal. Proposals with any missing document will be returned to the PI without review. 10.3 U.S. proposals should be submitted via FastLane (www.fastlane.nsf.gov/jsp/homepage/proposals.jsp). 10.4 Compliance with these requirements is critical in determining the relevant proposal processing guidelines. Failure in submitting all these information may delay processing. The US-São Paulo Collaborative Research Projects will be reviewed by NSF in accordance with NSF policies and procedures as described below. Proposals will be shared with FAPESP during the review process. NSF will solicit suggestions for appropriate external reviewers from FAPESP, but will independently manage the review of proposals in accordance with its policies and procedures. Coordinated support will be arranged for successful proposals by the participating organizations with NSF funding the US participants and FAPESP funding São Paulo participants through each agency's standard award process. Proposals received by NSF are assigned to the Dimensions of Biodiversity NSF program where they will be reviewed if they meet NSF proposal preparation requirements. All proposals are carefully reviewed by a scientist, engineer, or educator serving as an NSF Program Officer, and usually by three to ten other persons outside NSF who are experts in the particular fields represented by the proposal. These reviewers are selected by Program Officers charged with the oversight of the review process. Proposers are invited to suggest names of persons they believe are especially well qualified to review the proposal and/or persons they would prefer not review the proposal. These suggestions may serve as one source in the reviewer selection process at the Program Officer's discretion. Submission of such names, however, is optional. Care is taken to ensure that reviewers have no conflicts of interest with the proposal. The two merit review criteria are listed below. Both criteria are to be given full consideration during the review and decision-making processes; each criterion is necessary but neither, by itself, is sufficient. Therefore, proposers must fully address both criteria.\ (GPG Chapter II.C.2.d.i. contains additional information for use by proposers in development of the Project Description section of the proposal.) Reviewers are strongly encouraged to review the criteria, including GPG Chapter II.C.2.d.i., prior to the review of a proposal. Examples illustrating activities likely to demonstrate broader impacts are available electronically on the NSF website at: www.nsf.gov/pubs/gpg/broaderimpacts.pdf. For research proposals, reviewers will also be asked to evaluate whether the proposal defines a bold agenda that will use innovative approaches to integrate examination of the three dimensions of biodiversity as defined in this document. Strong plans for integration of the information and results from the project with other global data should be clearly detailed in the proposal. São Paulo-US Collaborative Research Projects will also be reviewed with respect to the extent to which they demonstrate substantial collaboration between São Paulo and US or and enhance research on the dimensions of biodiversity. The most competitive projects will be those in which the international collaboration brings substantial additional value to the project. The reviewers will consider: mutual benefits, true intellectual collaboration with the foreign partner(s), benefits to be realized from the expertise and specialized skills, facilities, sites and/or resources of the international counterpart, and active research engagement of U.S. and SP students and early-career researchers, where such individuals are engaged in the research activities. Once an award or declination decision has been made, Principal Investigators are provided feedback about their proposals. In all cases, reviews are treated as confidential documents. Verbatim copies of reviews, excluding the names of the reviewers or any reviewer-identifying information, are sent to the Principal Investigator/Project Director by the Program Officer. In addition, the proposer will receive an explanation of the decision to award or decline funding. In all cases, reviews are treated as confidential documents. Final results will be announced on FAPESP and NSF web portals and by means of communication to the proposers by both agencies. Copies of reviews, excluding the names of the reviewers, will be sent to the Principal Investigator. In addition, the proposer will receive an explanation of the decision to award or decline funding. Notification of the U.S. award is made to the submitting organization by a Grants Officer in the NSF Division of Grants and Agreements. Organizations whose proposals are declined will be advised as promptly as possible by the cognizant NSF Program administering the program. FAPESP or NSF may cancel funding if, during grant implementation, a fact is established of sufficient gravity to justify cancellation, at the Scientific Board of Directors’ discretion, without prejudice of any other appropriate actions. For US-São Paulo Collaborative Research projects, FAPESP awardees are subject to FAPESP and NSF reporting and administration requirements as appropriate and outlined in www.fapesp.br/176#4603 and the NSF Award & Administration Guide (AAG) Chapter II, available electronically on the NSF Website at www.nsf.gov/publications/pub_summ.jsp?ods_key=aag. Annual and final reports of these projects should describe activities of the entire collaborative effort being submitted to FAPESP and NSF. For FAPESP, together with the report above mentioned, the PIs must also fulfill and submit the BIOTA’s Project Progress Form (www.fapesp.br/5223). For NSF, the U.S. Principal Investigator must submit an annual project report to the cognizant Program Officer at least 90 days before the end of the current budget period. Within 90 days after expiration of a grant, the PI also is required to submit a final project report, and a project outcomes report for the general public. Failure to provide the required annual or final project reports or the project outcomes report will delay NSF review and processing of any future funding increments as well as any pending proposals for that PI. PIs should examine the formats of the required reports in advance to assure availability of required data. U.S. PIs are required to use NSF's electronic project-reporting system, available through FastLane, for preparation and submission of annual and final project reports. Such reports provide information on activities and findings, project participants (individual and organizational), publications, and other specific products and contributions. Regina Costa de Oliveira, FAPESP Biological and Agronomical Sciences Area Director.